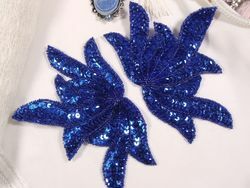 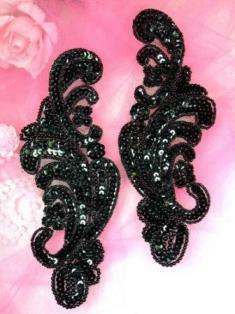 In this category you will find appliques that would be great for belly dancing costumes. 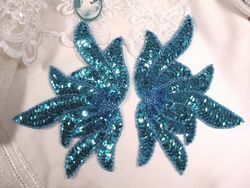 We have many appliques available that are suitable for this purpose that we have not yet added to this category. 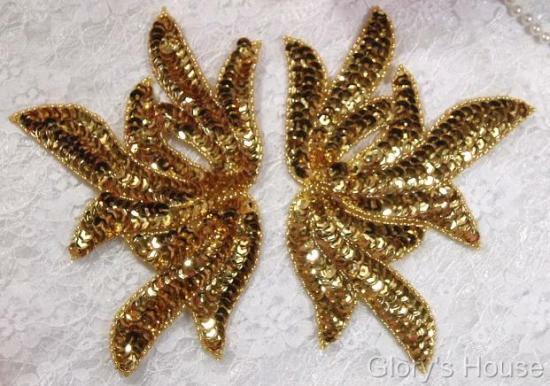 0174 Black Silver Gold Flame Mirror Pair Sequin Beaded Appliques 7"
0079 Blue Sea Weed Mirror Pair Sequin Beaded Applique 6"
0079 Turquoise Sea Weed Mirror Pair Sequin Beaded Applique 6"
0079 Gold Sea Weed Mirror Pair Sequin Beaded Applique 6"